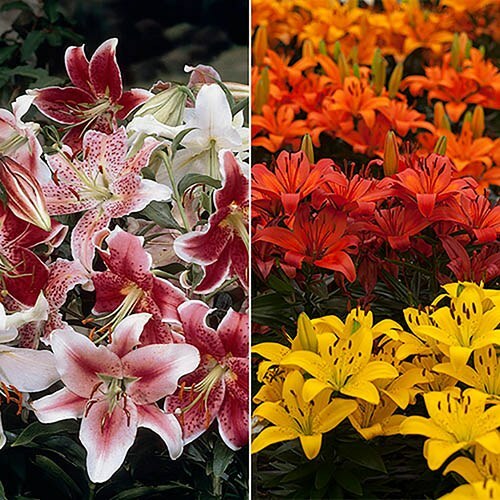 Oriental lilies are highly fragrant and flower year after year in beds, borders or even patio containers. Each ‘double nose’ bulb should give 2 flower stems, each carrying 3-5 fragrant florets! Their Asiatic cousins with their ‘fruit salad shades’ of yellow, orange and red, will really light up your Hot Summer garden.